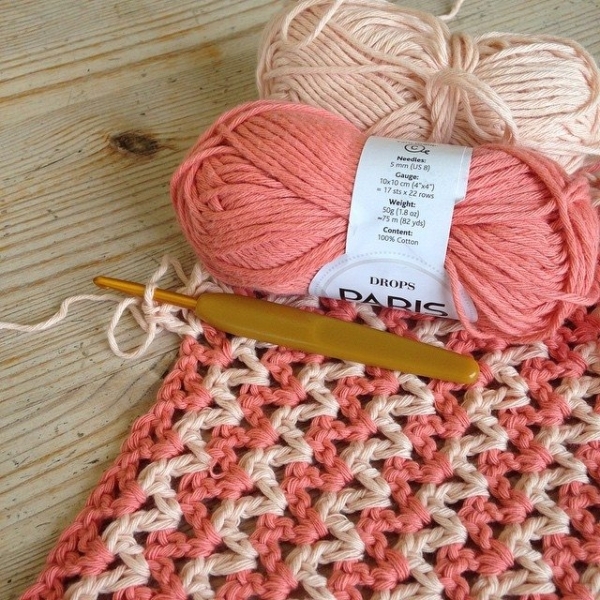 20+ V-Stitch Crochet Designs to Inspire Your Crafting! 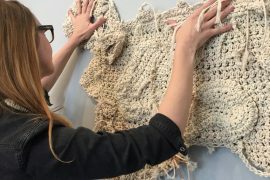 I love the crochet v-stitch, which we’ve explored before, and I always get inspired to make something new when I see what people are doing with this crochet stitch. 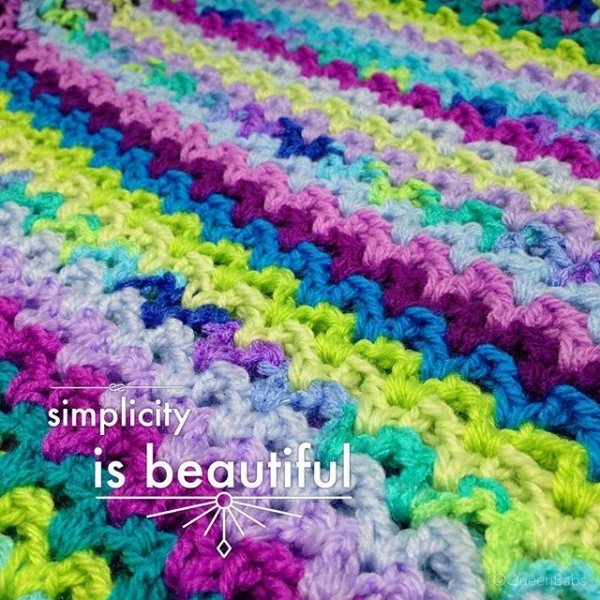 Today I’ve got a roundup of inspirational v-stitch crochet photos for you. If you see an @name, you can find that person on Instagram. 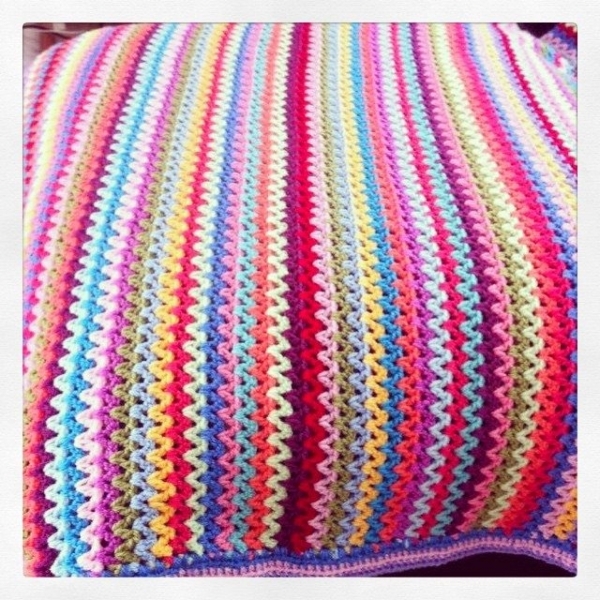 Looking for crochet patterns? 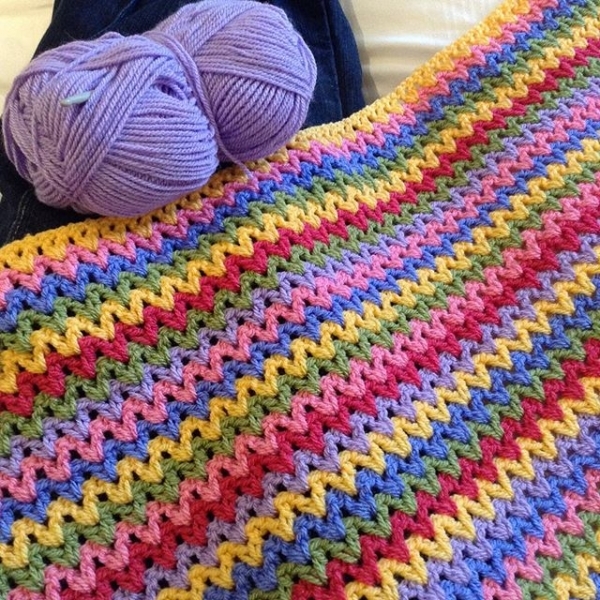 Here are 15 free v-stitch crochet patterns. 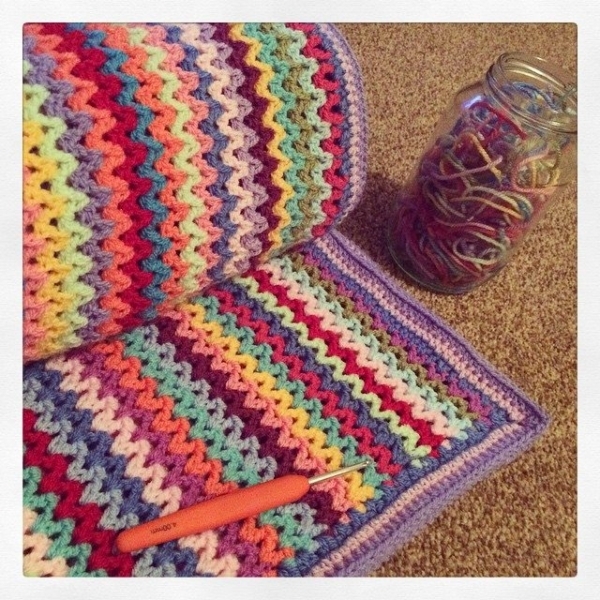 @peeka_bo_crochet has great color choices in this blanket! 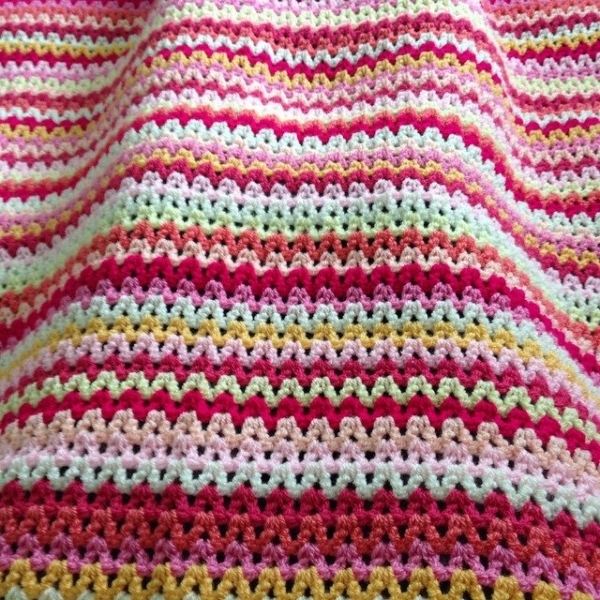 @_lara_x made this lovely crochet blanket. It looks like every single row is a different color. Wonderful. 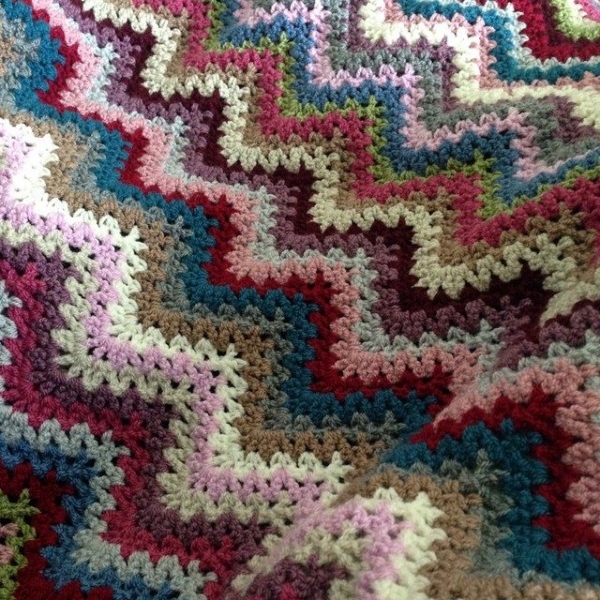 Here’s a chevron crochet v-stitch from @peeka_bo_crochet. I love the colors on this one too! 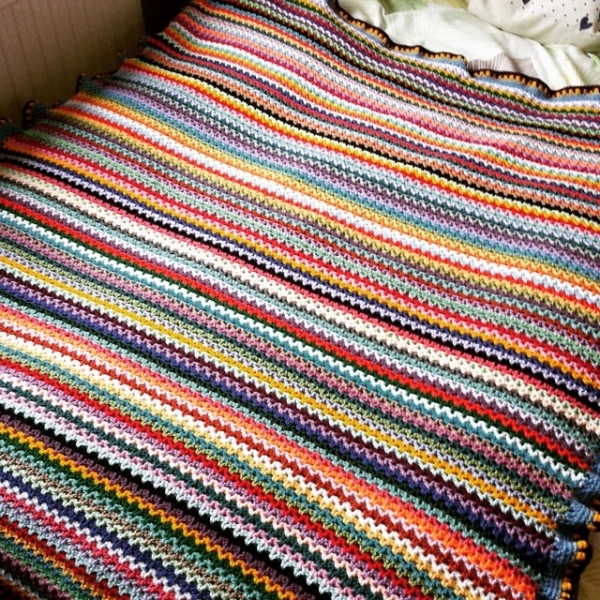 I just love the colors on all of these blankets. Maybe that’s why I find them so inspiring!! 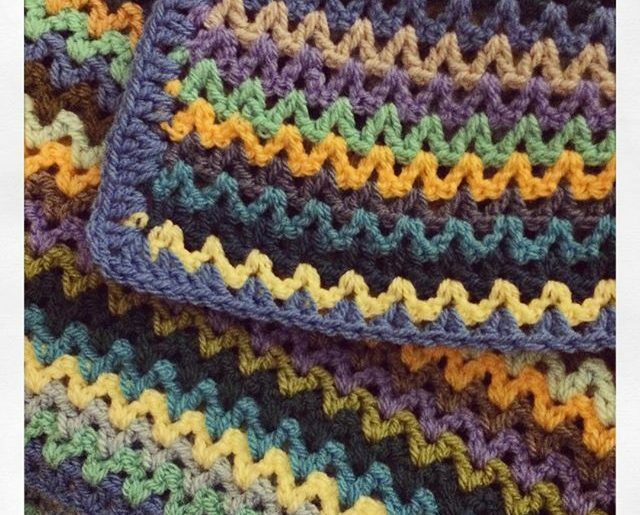 Striped v-stitch crochet blanket from @hookystar. 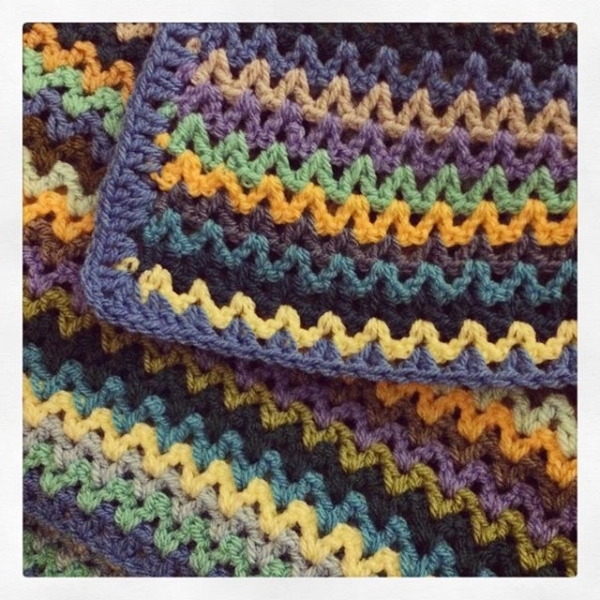 I also love how each of these blankets makes it look like the stitch is so difficult and complex but actually it’s a super easy crochet stitch that a beginner to the craft can do. 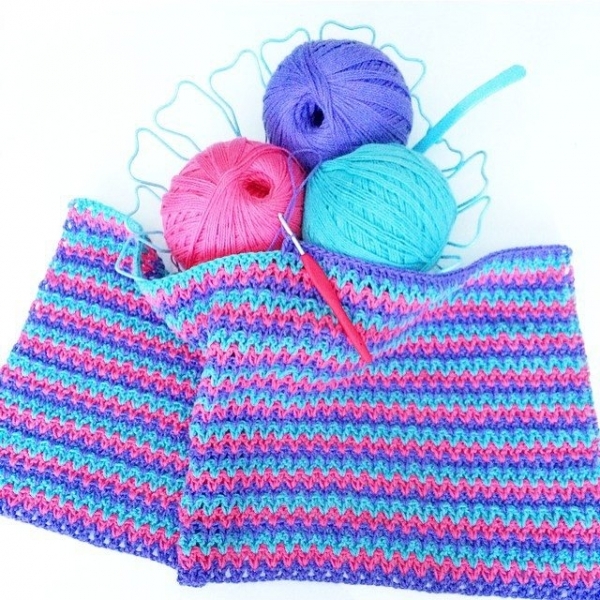 That makes it a great stitch for making gift items! 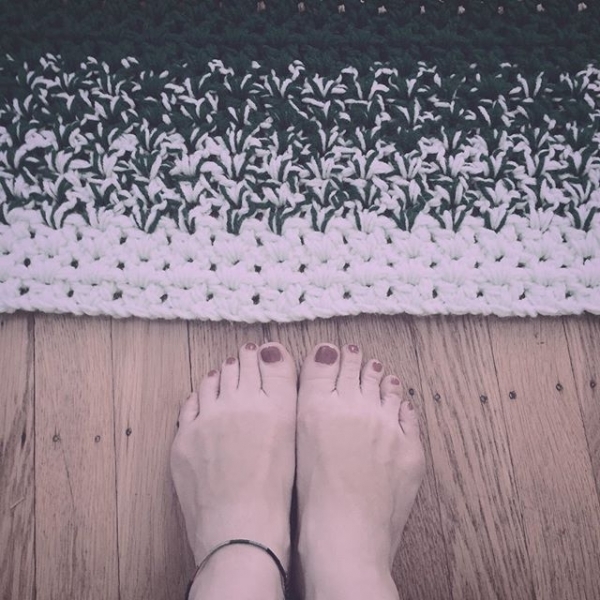 @crochetandbabushkas brings us this version of the v-stitch. Blues and purples are my favorite colors so this one immediately caught my eye. 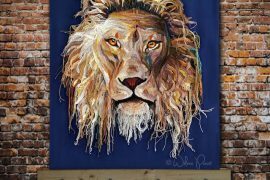 Here’s another just in blues, this one is from @holly_pips. In many of these photos, the v’s are turned in different ways, but this photo clearly shows why it is called the “v” stitch! This one is from @bechancer. Here we have two rows before each color change, rather than the one row we saw in many of the previous examples. The striping effect is completely different when you make this one subtle change! 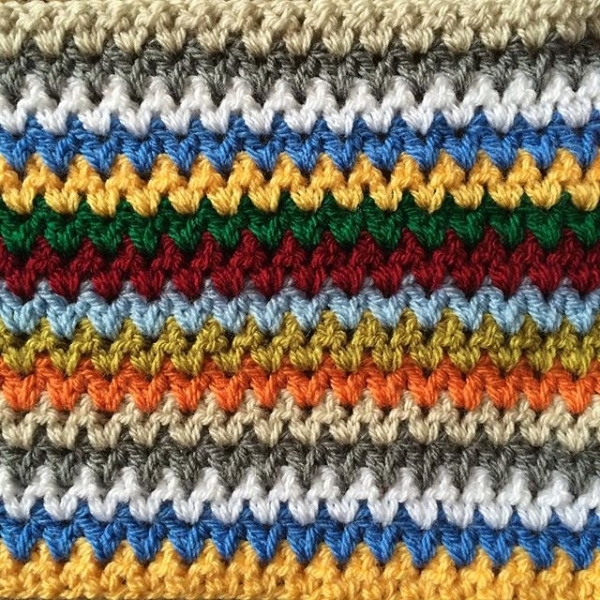 In this example by @mamma_made_that, we can see how rows of white break up the rows of color in really intriguing ways! 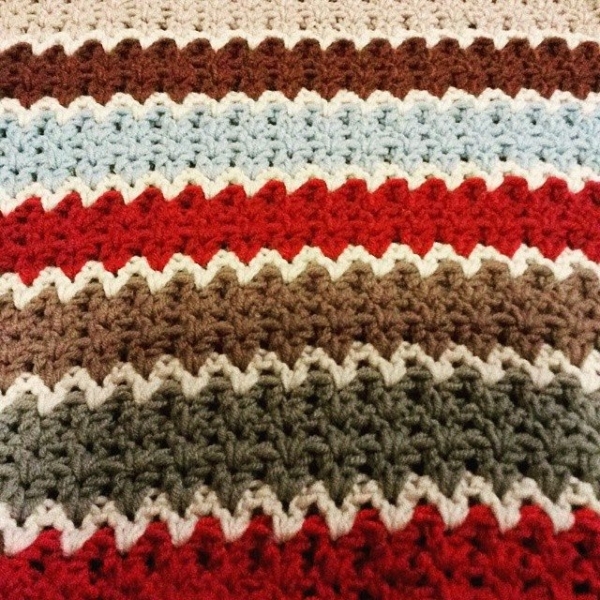 Here’s a v-stitch crochet blanket from @patternpiper where every other row is white. @lou.teacrochet made some genius choices with colors on this one! 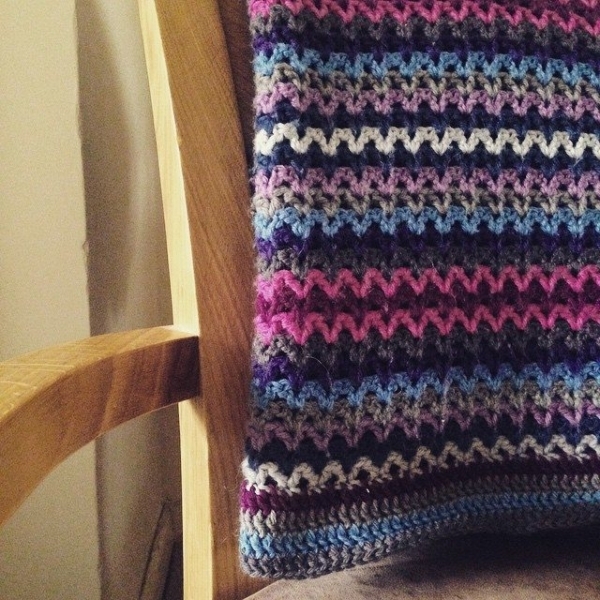 And it looks like @gigididthis let the yarn do the color work on this beautiful piece; playing with self-striping and variegated yarns is really fun on a simple stitch pattern like this one. 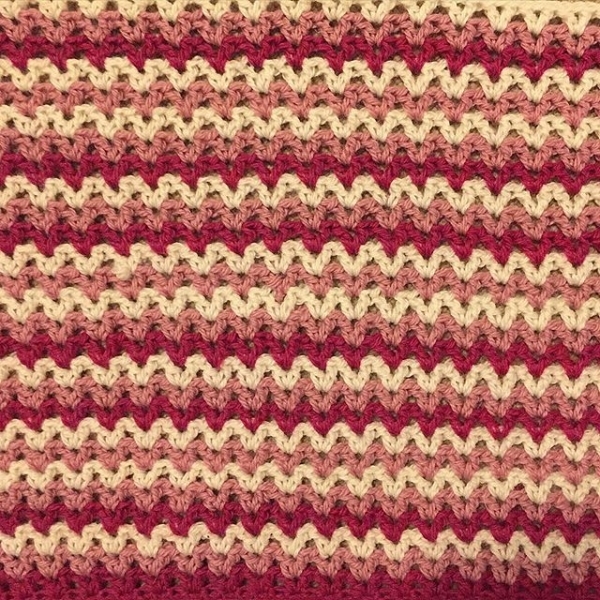 How do I get this beautiful pattern? I believe you can find it here. At least the basics. 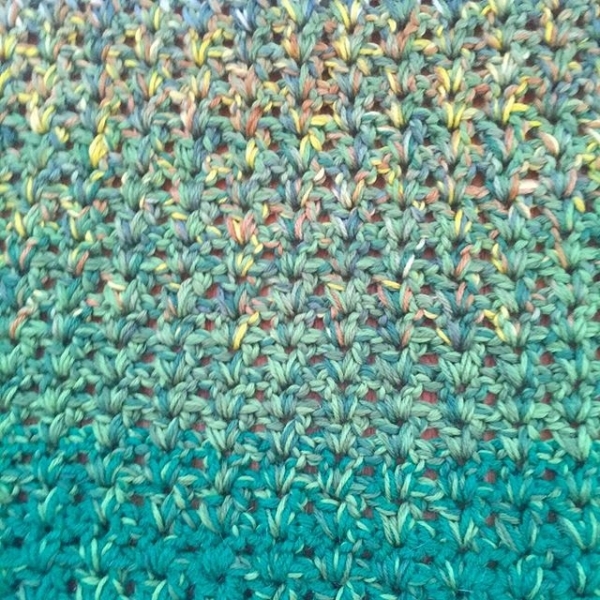 I love how he plays with colors, the simple and the final stitch the project is beautiful !!! 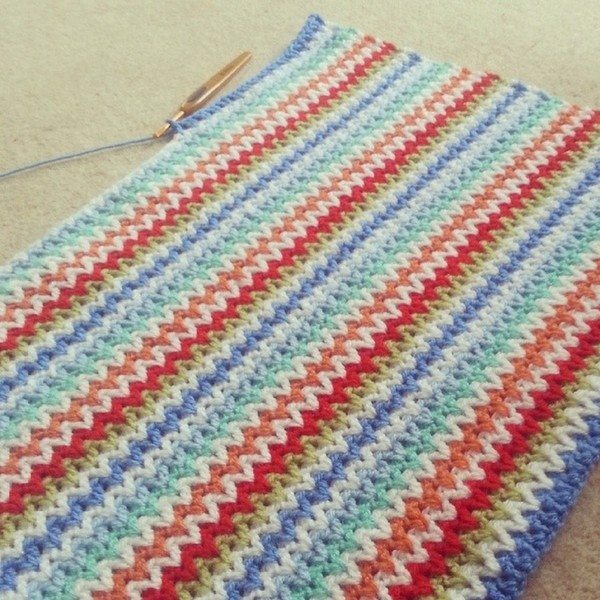 Love the V stitch,so easy and blanket always turns out pretty. 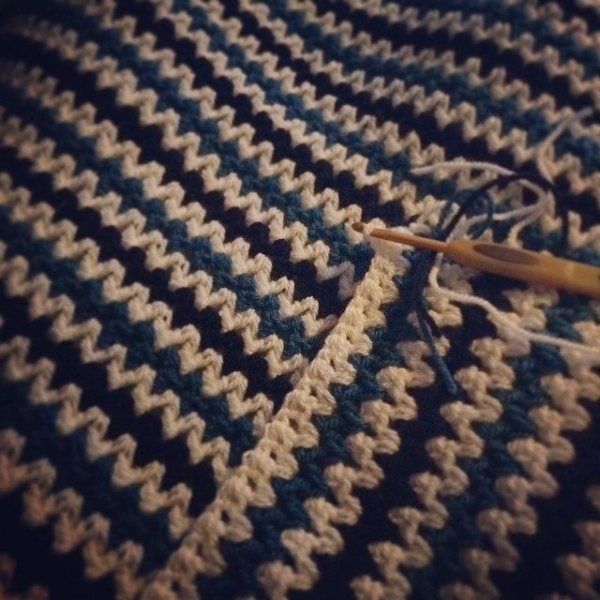 I would love to make a prayer shawl for thenederly at the retirement home I work at. Is it an easy patter and where can I find? I know it’s been a while since you asked for the pattern, but since no one replied to you yet I figured I would. The pattern is a multiple of 3 plus 2. So your starting chain can be as long as you wish, as long as you stick to a multiple of 3 count and add 2 chains to that. 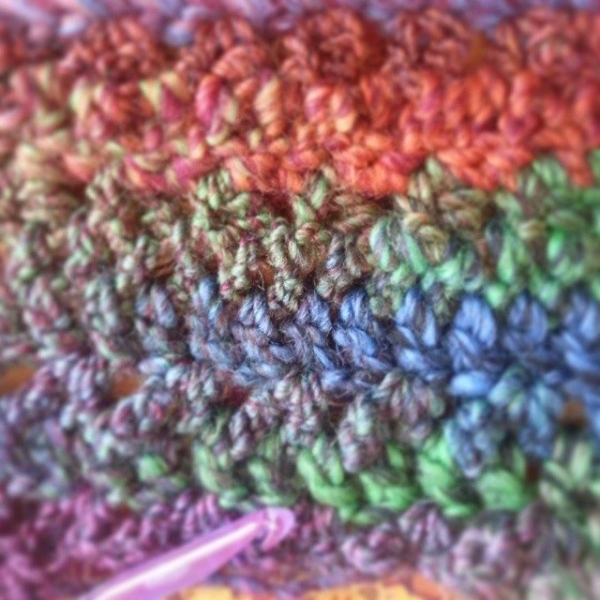 Chain 3, double crochet in the 5th chain from the hook, chain 1, double crochet in the same stitch (first v done), skip a chain. 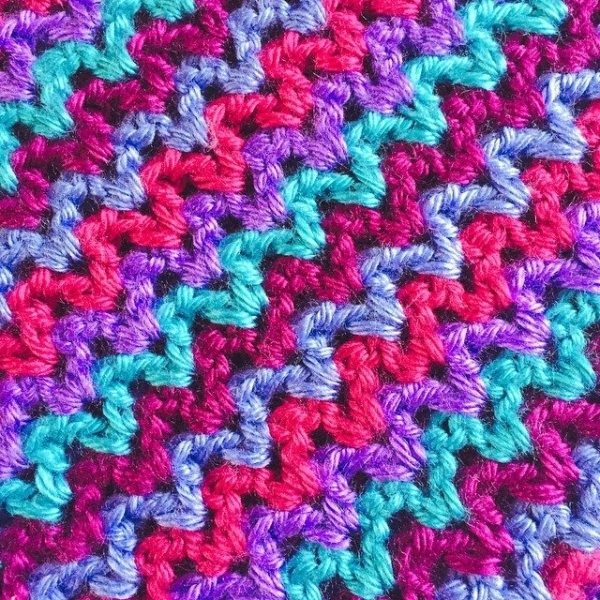 Double crochet, chain 1, double crochet in the same chain, skip a chain. 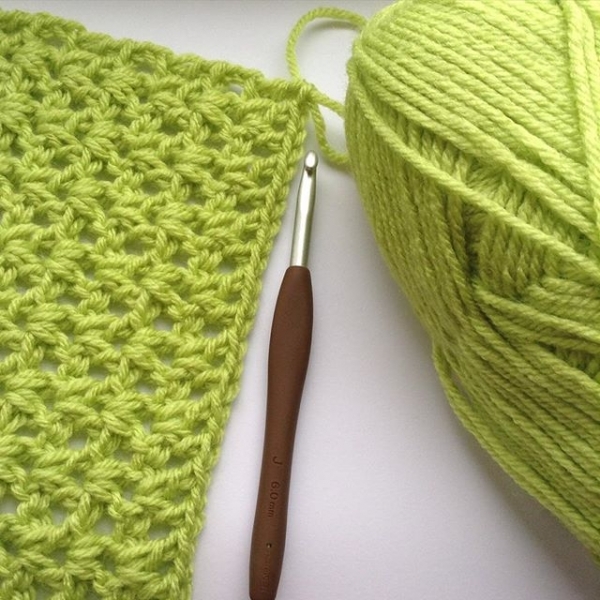 Continue throughout the row, double crochet in the last stitch. Second and all further rows you just continue the established pattern. 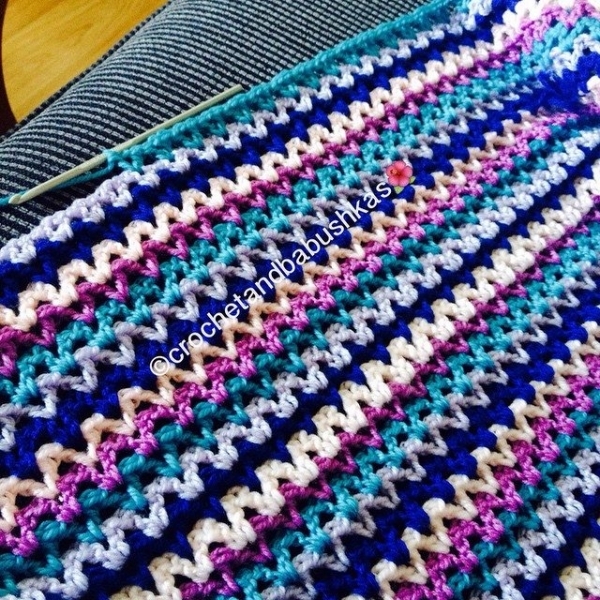 Chain 3 for your first double crochet, then place a v stitch on top of the v stitch from the previous row, double crochet in the last stitch. Change colors as you see fit.